Lincoln, Neb. (September 7, 1974) - Bob Kosiski led the Omaha drivers’ onslaught at the Nebraska State Fair modified stock car races for Nebraska drivers as he collected his fourth feature in four years at the Fair. Saturday's hot sun dried the track and made the running slick causing numerous spends and slides bringing out the yellow flag more than 20 times throughout the day. 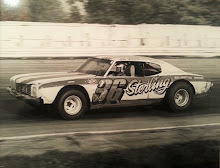 Kosiski, however, avoided the mishaps and won the 25-lap event by 25 yards over second-place Randy Sterner, and third place Ron Tilley. Both Tilley and Sterner are from Omaha as our fourth-place finisher Keith Leithoff, and fifth place finisher Ed Morris. Top Lincoln driver Joe Wade and Kent Tucker of Aurora dropped out early in the race with mechanical difficulties. “This really makes me happy, because I could think of nothing better than winning the State Fair feature in my home state,” said Kosiski. 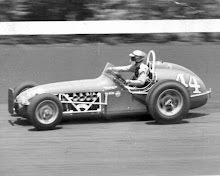 Kosiski, who is known as one of the better drivers and adapting to different surfaces added, “I knew all along that I would have to run inside and low on the track because the cushion was to hide to use my car was handling well because we add some weights, to compensate for the slickness of the track,” remarked the 22-year racing veteran. Sterner and Tilly never let Kosiski get out of sight but neither could muster a serious challenge for the lead. 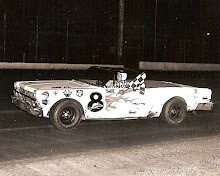 Bob Kudrna of Red Cloud won the B feature in a race that saw eight yellow flags and six restarts. Kudrna led throughout until the last lap when Milo Stodola passed him on the back stretch. Stodola could not hold on in the fourth turn and Kudrna barely nipped him at the finish. Omahan's Stodola and Gale Hevelone finished second and third respectively, followed by Phil Reves of Omaha and Gerald Weise of Ashland. 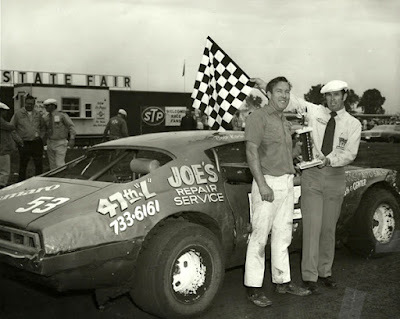 The four 8-lap heats saw polesitter Joe Wade taking an early lead before the fans’ favorite Kent Tucker captured the lead on the third lap to annex the triumph. 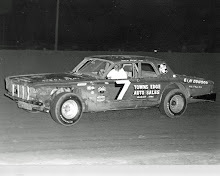 Tucker was involved in a crash in the first turn on the first lap forcing a complete restart. Tucker reentered the race with the nose of his car sticking up in the air but suffered no structural damage to keep the car from running. “I just had a little trouble seeing the car is all,” Tucker said. First Heat: Al Humphrey, Gitner, Neb. B-Feature: Ron Kudrna, Red Cloud, Neb. 6. Tom Richards, Rising City, Neb. 7. 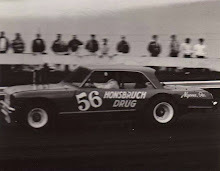 Chuck Bosselman, Grand Island, Neb.